Posted on 07/22/2014 by No Tiny Print! 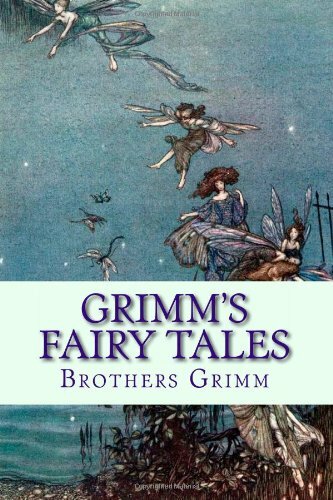 This excellent printing of the timeless classic “Grimm’s Fairy Tales” is a collection of over 60 of the finest tales ever told. This new edition is printed on high quality paper with a beautiful, durable cover. Posted on 07/01/2014 by No Tiny Print! Posted on 06/27/2014 by No Tiny Print! Posted on 06/23/2014 by No Tiny Print! Posted on 06/22/2014 by No Tiny Print! The life and adventures of Nicholas Nickleby, a young man who must support his mother and sister after his father loses their wealth and dies. Posted on 05/30/2014 by No Tiny Print! This excellent 1724 book was published in Britain, containing biographies of contemporary pirates. Influential in shaping popular conceptions of pirates, it is the prime source for the biographies of many well known pirates. This book introduced many features which later became common in pirate literature, such as pirates with missing legs or eyes, the myth of pirates burying treasure, and the name of the pirates flag the Jolly Roger. The author specifically cites two pirates as having named their flag Jolly Roger, (named after the first Pirate and his crew); Welsh pirate Bartholomew Roberts in June, 1721, and English pirate Francis Spriggs in December 1723. In giving an almost mythical status to the more colorful characters, such as the infamous English pirates Blackbeard and Calico Jack, the book provided the standard account of the lives of many people still famous in the 21st century, and influenced pirate literature of Robert Louis Stevenson and J.M.Barrie. Posted on 05/29/2014 by No Tiny Print!